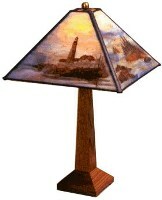 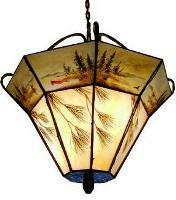 These all original hand painted and kiln fired glass lamps are created in the USA by Robert Stump studios. 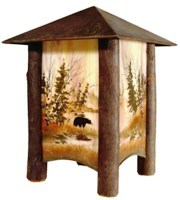 Unique rustic designs and paintings are inspired by the American landscape. 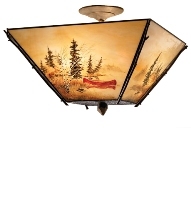 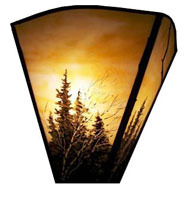 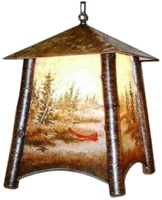 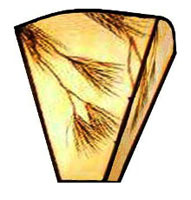 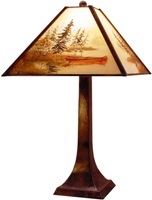 Pine bough motif intermixed with wildlife glass panels of bear, loon, moose, canoes and fisherman define the new American classic in lighting. 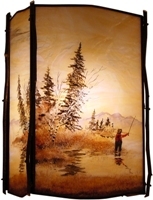 Each piece is original, signed and dated by the Artist. 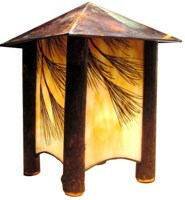 Allow 4-6 weeks for delivery from order.